Conflict resolution and Peace Building expert Emmanuel Bombande has asked the feuding factions in the protracted Dagbon conflict to appreciate the efforts of President John Mahama at ensuring peace among them. According to him, it is unfair to blame government and the Committee of Eminent chiefs helping to resolve the crisis for the volatile nature of affairs between them. The comments come on the back of renewed threats of hostilities among the two factions- Andanis and Abudus. A spokesperson for the Abudu gate Alhassan Dokrugu earlier told Starr News government and the Otumfour committee helping to mediate among them are succumbing to pressure from the Andanis. Security has subsequently been beefed up in the earlier following recent utterances from both factions. 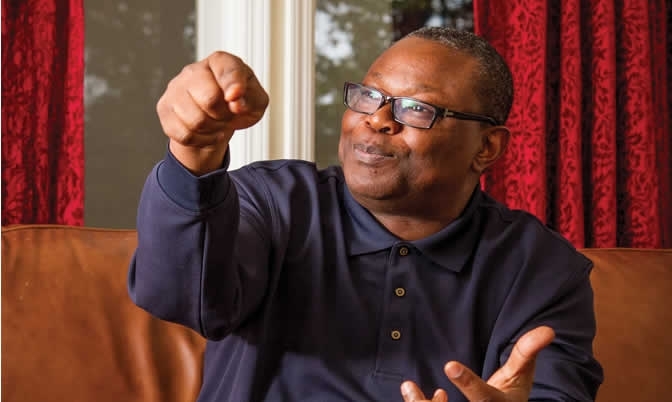 Speaking to Starr News, the former head of the West Africa Network for Peace Building urged the feuding parties to open themselves up to lasting peace. “Government has the responsibility to protect citizens; lives, property, security, the wellbeing of everybody. The peace that we must live is the responsibility of us collectively in our communities, in our towns and villages right up to the nation. “It is for this reason that people must not see government to be the one that must deliver peace but they should see government to be playing its role of ensuring security, and that’s what is happening now in Yendi. “Their frustrations are a symptom of something happening in the process that does not allow them to have that mutual satisfaction. In that regard, the structure that is there to support and accompany them must listen to this frustration, must assure them that there is still a way out and that way out is the hope, the trust and confidence that they must bear in one another,” he stated. He continued: “I’m not suggesting that it’s the Committee of Imminent chiefs that will make peace happen but their role is critical … there has been a lot of support even directly from the president of the republic himself. How do they see this good will, take advantage of it and even in the frustration; rather than make it worse with the type of statements that may lead to violence, appreciate that yes, there are challenges but let’s move for the opportunities that prevail, let’s move for the candle lights that are still there and to that extent continue to work together so that it can be increased and sustained to reach the objective of the peace that we are looking for in Dagbon”.